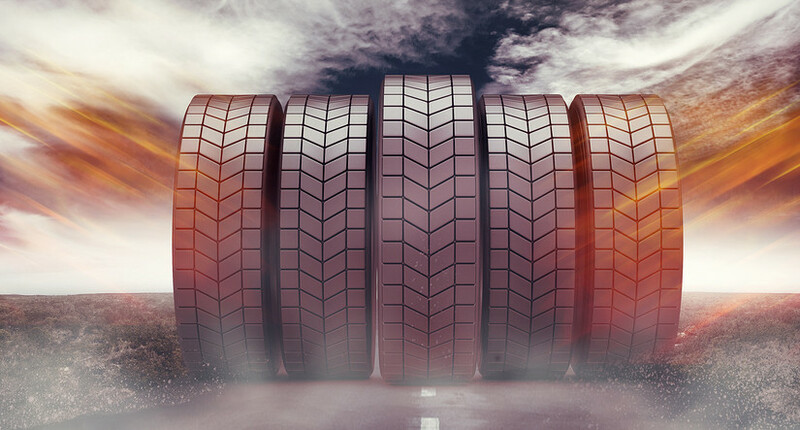 Due to its resilient nature, rubber is the perfect material for upcycling projects, and vehicle tyres can therefore be easily reused once they have become unroadworthy. Repurposing vehicle tyres is a nice alternative to sending them to landfill – an unfortunate ending for many tyres worldwide. When tyres are recycled, they are often shredded and used for producing playground surfaces, road embankments and synthetic turf. Why not reuse them before that stage and lengthen their life even more? Give some of these upcycling ideas a go. So simple to make, yet so much fun for kids and adults alike, and a great way to use an old tyre (or several) in your garden. Choose an area with a tree featuring strong branches, and make sure there are no obstructions within any potential path of the swing. Pressure wash the tire before you hang it, so it is clean. 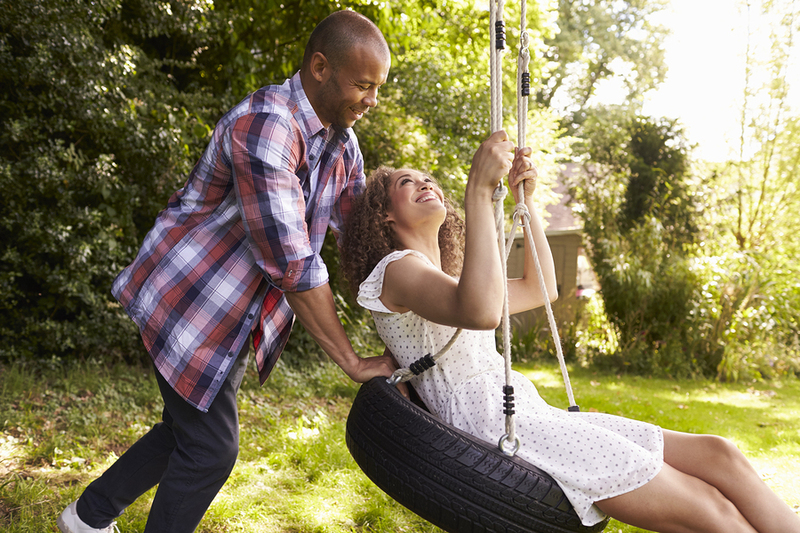 You will find various methods online for hanging your tyre swing, so choose the one that suits you best, and make sure it is safe. It’s surprisingly easy to make a footstool or ottoman from a car or truck tyre. Just top the tyre with a circle of the board of your choice, making it to fit in the gap, then wrap the entire thing in rope or something similar. This will create a hardwearing, beachy-looking footstool, which you can use inside or out. Paint some tyres, pile them up straight on top of each other, then pop a bin liner inside for a quick, easy and cheap outdoor bin. You might want to secure the tyres to each other and to the floor, as they’ll be at risk of being knocked or blown over. 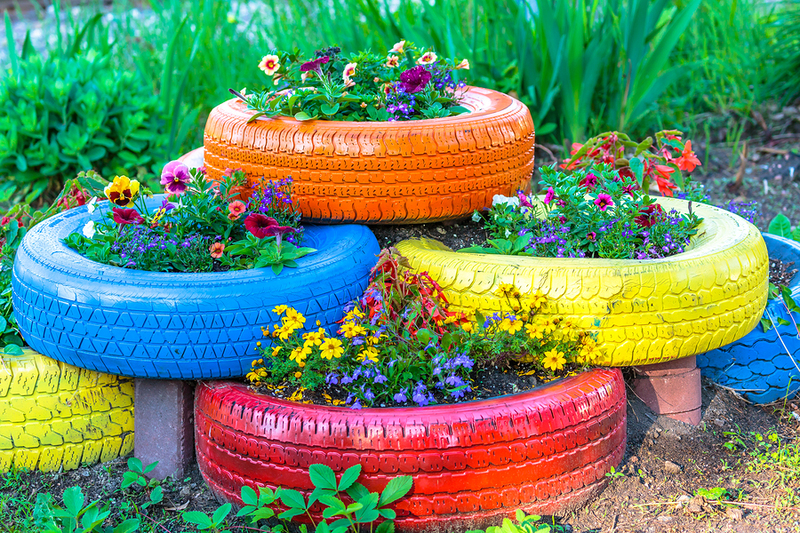 You can make a planter with a tyre or a formation of tyres by laying them on the floor to fill with bedding plants. A popular idea is to paint these tyre planters in bright colours to bring some fun to the garden. If you don’t want a floor planter, why not hang one vertically and plant that up instead? Get creative with colours and patterns. For indoors or out, you can pile tyres up to your desired height (painted or not), then add a table top – perhaps a round sheet of glass with smoothed edges. It might be a good idea to secure the table to the floor, and secure each tyre to each other, and the table top – then there will be no accidents if a pet or child knock into it. Can you think of any other tyre reuse ideas? Let us know in the comments below!